There’s been a whole lotta cooking going on, at Chez Wright, over the last week. When I was asked by the lovely people at Grana Padano whether I would like to take part in a cookery competition, how could I say no? I knew there would be a box of unknown ingredients arrive at my door, and from it 2 courses were to be conjured up. As I said right up my street. There’s nothing I love better than working out what to do with a bunch of ingredients. That’s how I like to cook. Some of the best dishes come from thinking outside of the recipe. Wednesday was my nominated kitchen day. Popping some Italian music on, to get in the zone, I set to work. Click here for some Italian cook-a-long music via YouTube. 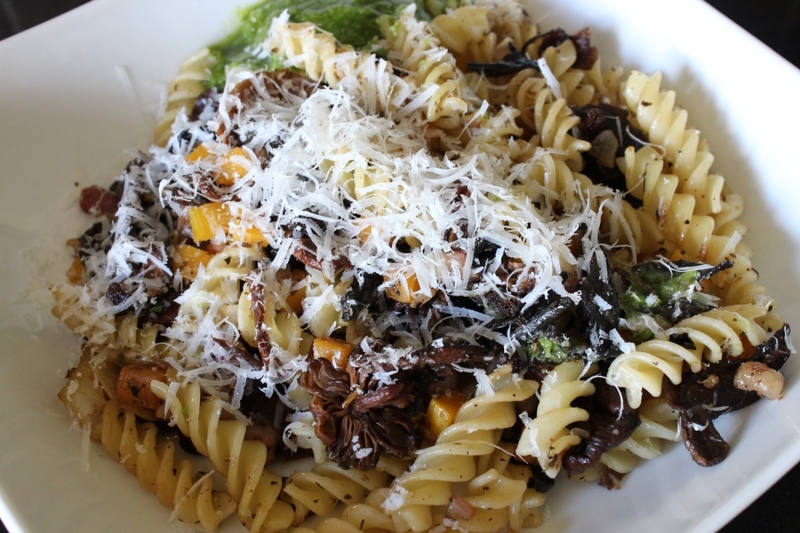 Pasta was a no-brainer. The brief was that the recipes were to be Italian inspired. Now I could have tried to throw in a curve-ball at this point, but instead I went traditional with a pasta dish. I like to keep cooking simple, but tasty. When I share recipes I want them to accessible to all, to be so straightforward to make at home that everyone feels encouraged to give them a go. And I hope with the 3 recipes I posted, I did just that. Firstly I decided to make pesto, because I confess I had never made it before. How can that be? I do not know. It just hasn’t happened. But it’ll be happening again. Super simple. I substituted the traditional Parmesan for Grana Padano. The main meal I decided had to be pasta topped with Grana Padano. I wanted to utilise as much as possible the ingredients I had received rather than remove any or add in too many others. 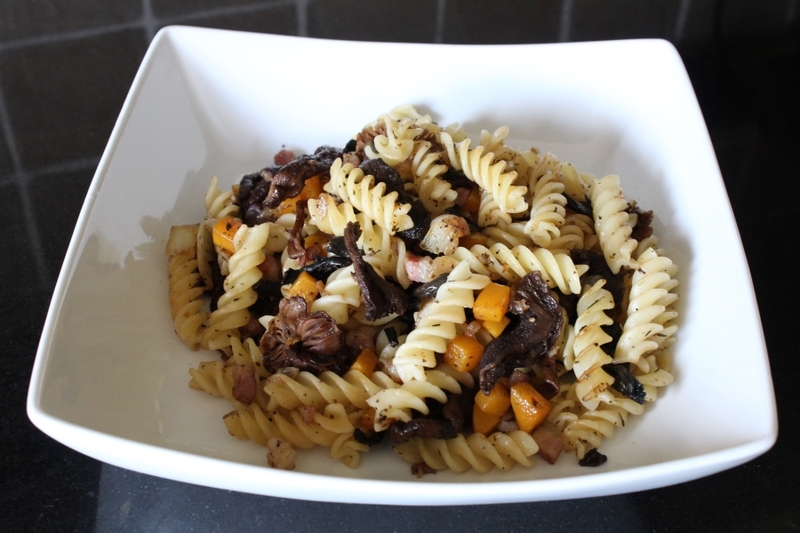 From the ingredients I had, this dish sprang to mind, Pancetta Butternut & Mushroom Fusilli, and it worked. I only made 2 portions (the recipe can be doubled to feed 4) as it was a lunchtime dish and I did not want any to go to waste. In fact as I was cooking home alone, I invited a neighbour to join me for lunch. 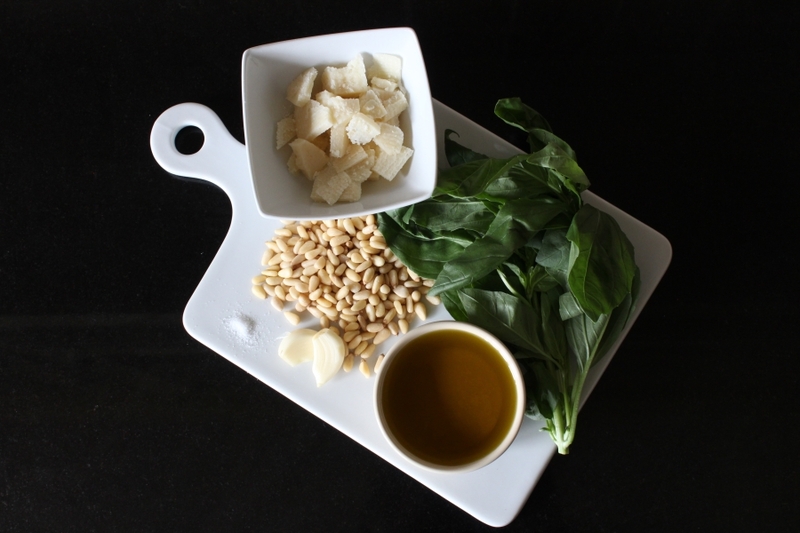 We stirred in a little pesto and topped with Grana Padano and a squeeze of lemon juice. Finally I was determined to incorporate the rice I had received. Now pasta and rice, I personally think, do not work together in one dish. Fortunately, for me, rice pudding is the epitome of Englishness when it comes to a dessert. Or rather a pudding. My Mom makes the best rice pudding, she bakes it. I wanted to keep mine super simple so opted for a stove-top version. 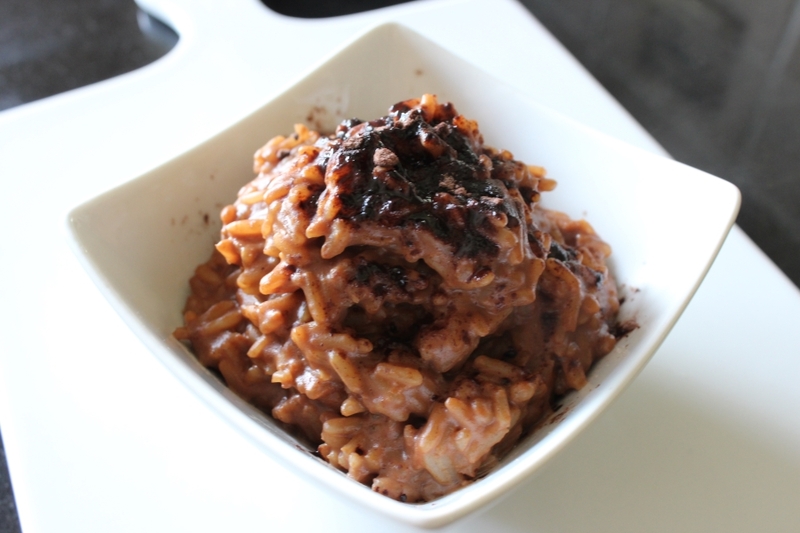 The idea was to make an English and Italian fusion, hence Tiramisu rice pudding. What I did discover, along my competition journey, is that rice pudding may have originated from Persia or The Middle East. It is now eaten all around the world. I also learned that Buddhist Sutras state that Buddha’s final meal before his enlightenment was a large bowl of rice pudding (source: Wikipedia). Sincerely I hope this is true. Whether my entry is good enough to get through to round 2, I have no idea. 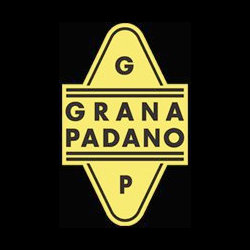 Whatever the outcome I felt privileged to have been asked by Grana Padano to take part, and thoroughly enjoyed my time in the kitchen experimenting with the ingredients I was sent. Ultimately I hope you found the recipes worth me sharing. If you have any favourite Italian recipes to share, please do enter below in the comments or over on my Facebook page. And don’t forget to head on over to Grana Padano Facebook page and give them a like if you are looking for further recipe inspiration! I was really inspired by the rice pudding! I’m often looking for cheap calories, so I eat A LOT of beans and rice, and always have rice on hand. But it gets a little boring after awhile. This is an awesome easy way to use rice! A runner’s dream. I made a strawberry basil one yesterday. So very many possibilities!